For every woman out there, there’s nothing as disconcerting as having hyperpigmentation. You may try to hide it by layering up with makeup, but eventually, this gets tiring. The issue may be hyperpigmentation, melasma, age spots, acne scars or an uneven skin tone. Luckily, there are many lightening products in the market with different working mechanisms. 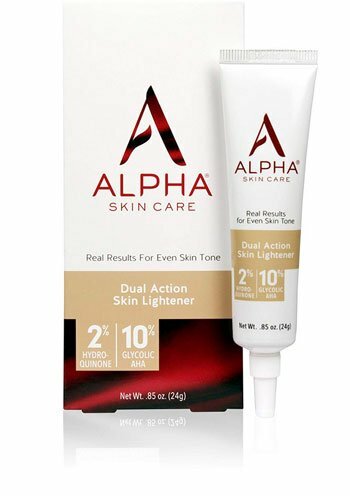 There are so many different skin lightening products on the market. 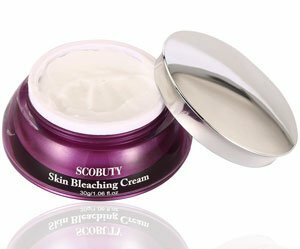 Choosing the best skin lightening cream is crucial. As such, you should look at what is out there and then make well-informed decisions. Understanding some of the side effects, such as dry skin is critical. If this occurs, you need to use concealer for dry skin, because regular concealer can overdry your skin. As the name says, this cream will leave you admiring your skin. It contains vitamin C, kojic acid, azelaic acid, salicylic acid, and lactic acid peel. It works by using the activities of micro-organisms to inhibit tyrosinase. The product works quite aggressively, and results are visible within seven days. The salicylic acid clears the dead skin and soothes the skin by acting as an anti-inflammatory agent. The vitamin C acts as a strong antioxidant preventing the activation of melanogenesis. Better yet, the cream provides fast relief for hyperpigmentation. And helps brighten and fade dark spots. Darks spots caused by melasma visibly fade after a week of using the product. You, however, have to be careful not to use it excessively to avoid irritation and any other adverse side effects. Use it alongside a good moisturizer and sunscreen to avoid irritation. 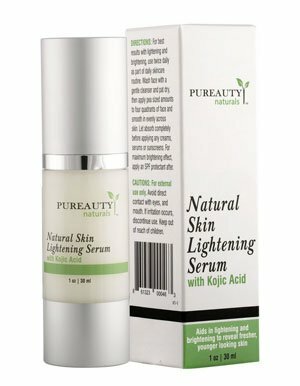 It is a lightening and brightening beauty cream for the face, neck, body, sensitive areas and is suitable for all skin types. It reduces hyperpigmentation and will be quite gentle which makes it suitable for sensitive skin. If you are persistent with its use, you can expect to see a significant difference. 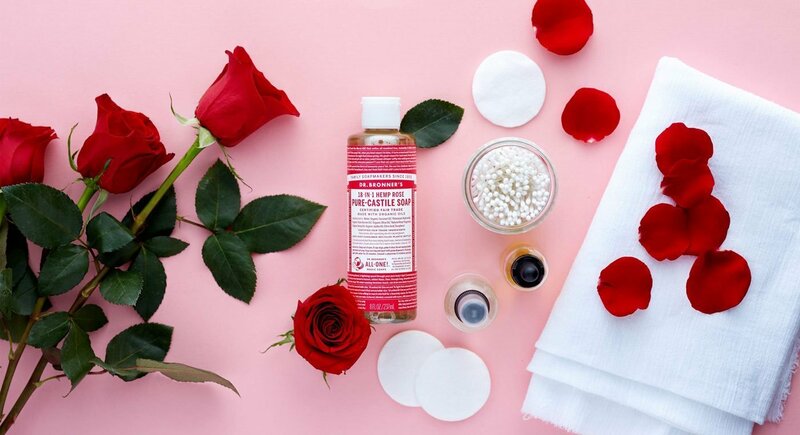 And if you love natural skin care products, this is for you. It does not contain harsh chemicals or hydroquinone and promises no side effects. Since it’s very gentle, it can be used on intimate and sensitive areas and is safe for daily use. It is a dark spot corrector that uses tyrosinase inhibition mechanism. And is suitable for the face, neck, body, and bikini and can be used on all skin types. With this cream, you can expect visible results in about ten days. The cream is quite aggressive, and on first application, you may feel a tingling sensation on your skin. It visibly reduces melasma, freckles and dark spots in a short time. This is among the most suitable creams for removal of hyperpigmentation and prevention of new discoloration development. It will help retain or regain your youthful look with the inclusion of natural ingredients that soothes and smoothen the skin. 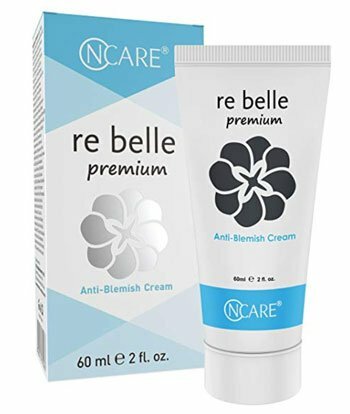 This is a freckle cream, freckle fade removal cream for face brightening, skin pigmentation, dark spot, age spots for face and body. The extracts are from natural plants which are a guarantee that there will be no side effects and it will leave your skin nourished. It also acts as a moisturizer and softens the skin on the first application. It can also be used to reverse a deep tan and is very gentle on the skin. Unlike other ordinary anti-aging lightening products, this whitening cream ensures that there is balance in water and oil for your skin. This is an incredibly effective cream that contains 2% hydroquinone and 6% glycolic acid. The glycolic acid acts by evening the blotchy skin tone. It penetrates and fades sun spots and dark spots. 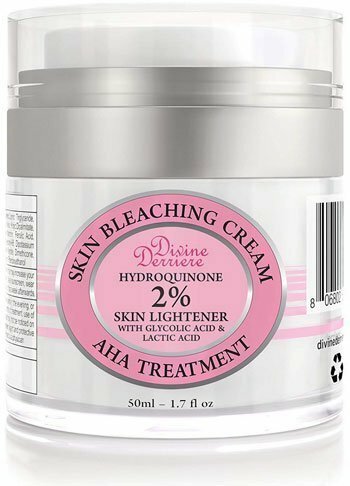 Hydroquinone inhibits tyrosinase thus reducing the production of melanin. Vitamin E present in the cream revitalizes and softens it. The antioxidants reduce the activation of melanogenesis by UV radiation. It takes about three weeks to observe visible results. It contains 2% hydroquinone 97% natural ingredients. 80% of the customer trials showed that it took six weeks to see clear results. The cream prevents future darkening and reduces the damage of the skin from sun exposure. Even better, the botanical extracts provide vitamins and antioxidants that rejuvenate the skin. Glycolic acid and vitamin C act as strong anti-oxidants preventing oxidation of pre-existing melanin and preventing the production of more melanin. No artificial fragrance is added. Your skin texture will be visibly improved and this product also removes hyperpigmentation such as melasma. However, it might be a bit harsh on the skin and should not be applied on very sensitive areas. 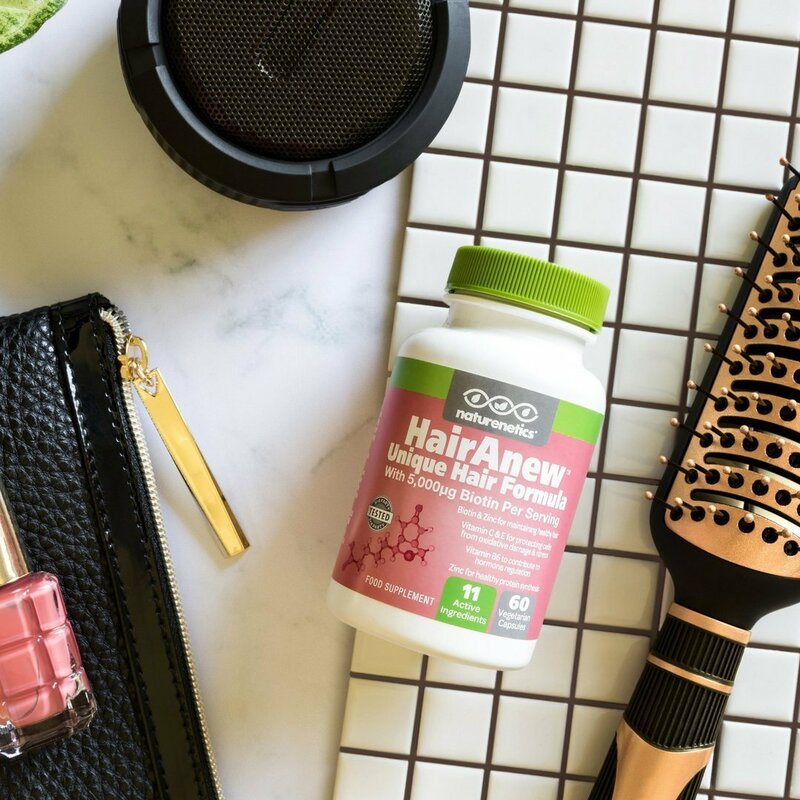 By applying it, you may experience a burning sensation, but this usually goes away after a few days of consistent application. 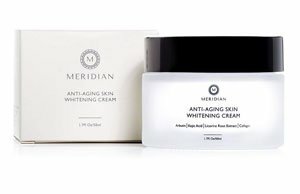 The Meridian Skin Care corrects hyperpigmentation, dark spots, and an uneven skin tone while still naturally moisturizing your face. The cream contains kojic acid which reduces hyperpigmentation by inhibiting tyrosinase using micro-organism activity. There are several vitamins such as vitamin C, and vitamin E. Vitamin E acts as an antioxidant and prevents the activation of melanogenesis caused by UV radiation. Vitamin C soothes and supports healthy skin development. Looking for a product that lightens, brightens, whitens skin and corrects spots? This is the best clinically proven cream to use. It is a natural treatment for anti-aging and aging spots and can be used on the body or the face. 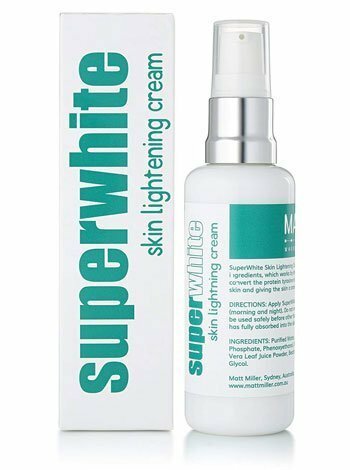 SuperWhite skin whitening cream acts as a moisturizer and hydrates the skin leaving it looking fresh. It can also be used to get rid of the dreaded dark circles under the eyes. The main working ingredient is kojic acid which inhibits tyrosinase and is gentle on the skin. It has proven to significantly reduce hyperpigmentation and melanin production within 1-2 months. 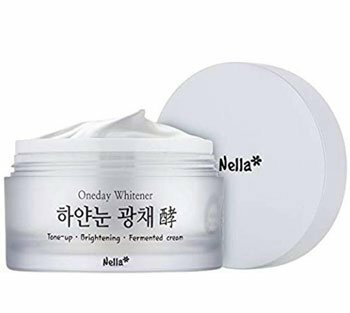 Nella Oneday Whitening cream nourishes and moisturizes the skin giving it a dewy look. It incorporates naturally fermented ingredients including pseudoalteromonas ferment extract and bifida ferment filtrate. These two ingredients moisturize the skin and give it elasticity while brightening it. It is gentle on sensitive skin and gives instant whitening results. It contains vitamin C, salicylic acid, lactic acid peel, azelaic acid, and kojic acid. The cream gradually fades hyperpigmentation, melasma, and dark spots. The acids present peel off the dark spots and rejuvenate the skin. It can be used for lightening birthmarks. The salicylic acid is also good for you if you have acne. It helps your skin exfoliate while removing oil, dirt and other impurities. Leaving it nourished and flawless. The cream inhibits the production of melanin. It contains vitamin C, vitamin B3, and hyaluronic acid. It works against the signs of aging including hyperpigmentation, sun spots, wrinkles, and fine lines while still nourishing your skin. Even better, it acts as a moisturizer and antioxidants brighten the skin tone. It inhibits the activation of melanogenesis which is believed to be the cause of increased pigmentation. The cream works perfect for all skin types and can be used by both men and women. It is suitable for use on the face, neck, body, and bikini areas. It corrects uneven skin tones, dark spots, and discoloration and removes scars. 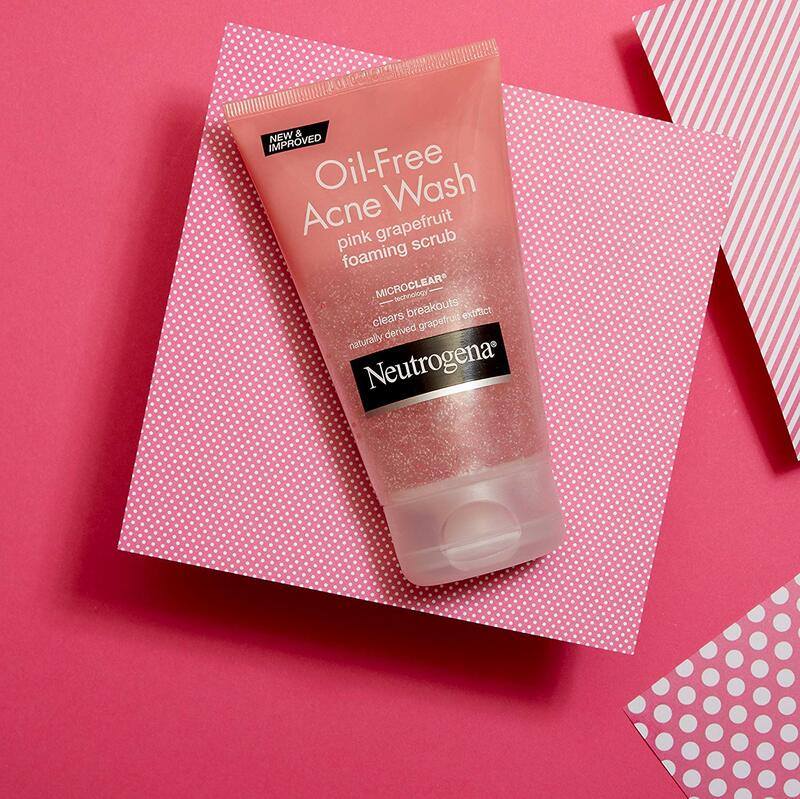 It will work best regardless of whether you have dry, normal or oily skin. The main ingredient is collagen which tightens the skin and gives it a smoother appearance. It also has natural ingredients which include Shea Butter, Pomegranate, Jojoba Oil, Olive Oil, Alma, Licorice Aloe Vera, Vitamin H, Vitamin B5, Vitamin E, Vitamin A, Niacinamide (B3 Vitamin), Lactic Acid, Vitamin C among others. The licorice acts as an antioxidant preventing the activation of melanogenesis. It is very gentle on the skin. Visible results are seen after one week. In addition to removing stubborn spots, this herbal cream also reduces wrinkle appearance and prevents the formation of new spots. It is a product of Belo Kojic and Tranexamic. The better part is that in addition to being a skin whitening product, it also acts as a sunscreen with an SPF 30. The two main ingredients are kojic acid and tranexamic acid. SPF 30 protects the skin from harmful UV rays that may lead to dryness and irritation. Kojic acid works by tyrosinase inhibition while the SPF 30 prevents oxidation of melanogenesis reducing the pigmentation. 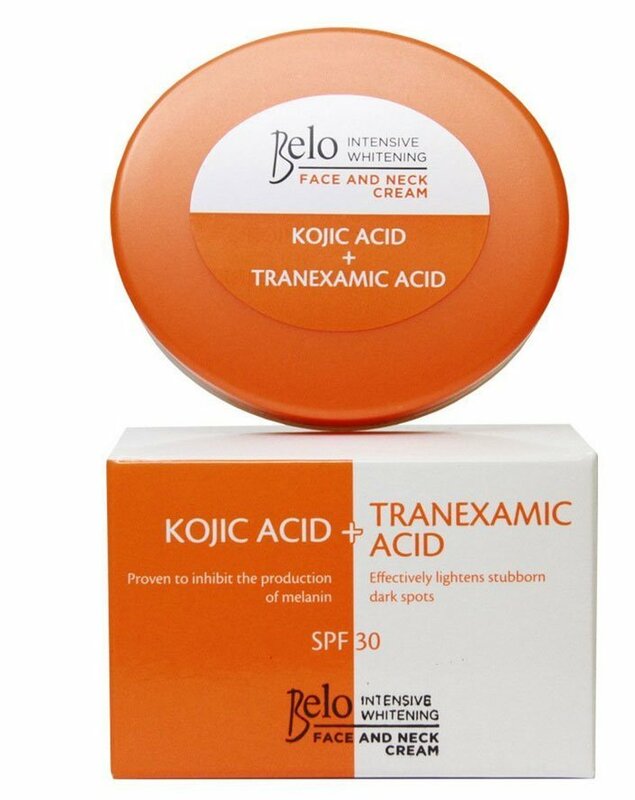 Tranexamic acid lightens dark spots. There is no fragrance added to the cream, and it is not greasy, which makes it suitable for oily skin. However, it may take some time to see visible results, so you have to be patient and consistent. Are you into vegan and healthy products? 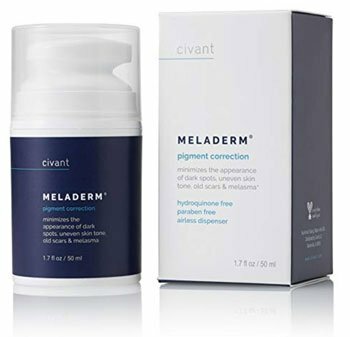 Meladerm skin lightening cream is a vegan skincare product, and it does not have any hydroquinone. The main ingredients are vitamin B3, licorice, white mulberry extract, glycerine, vitamin E, vitamin C, and kojic acid. It acts as an antioxidant and prevents the oxidation of pre-existing melanin which is thought to be the main cause of hyperpigmentation. It also reduces the appearance of age spots, acne scars, melasma, and uneven skin tone. 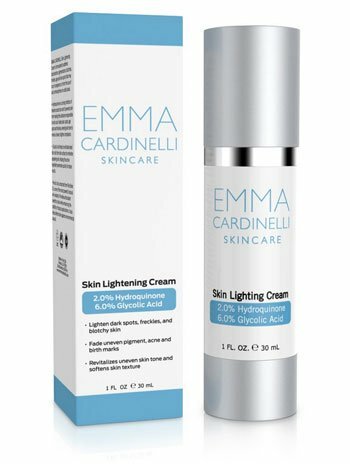 The main active ingredients are 2% hydroquinone and 10% glycolic AHA and vitamin E. The hydroquinone acts as a tyrosinase inhibitor preventing the production of melanin. Vitamin E moisturizes and nourishes the skin giving it a radiant glow while the glycolic acid gets rid of wrinkles and fine lines. 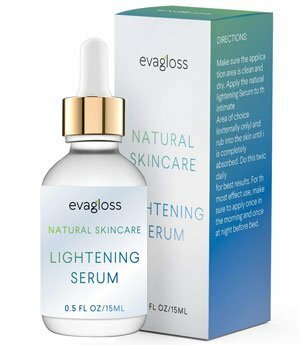 It is one of the most effective lightening creams in the market. It has a pH level of 3.5 and is suitable for both dry and oily skin. If you are looking for a product that diminishes hyperpigmentation caused by sun damage, age, and blemishes, then this is what you need. For skin care products, you have to know which is the most suitable for your skin. What works for one person might go wrong for the next person. Therefore, before purchasing a product, make sure you read all the reviews and perform thorough research. It is also important to know how each product works. 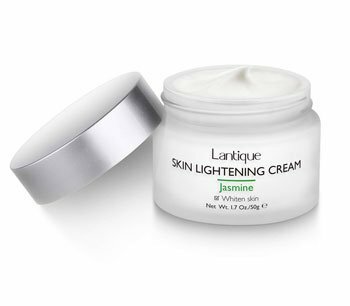 The best skin lightening cream is the one that affects the natural melanin production. The most common agents used are known as competitive inhibitors of tyrosinase. Quinone related compounds such as hydroquinone, micro-organisms related products such as kojic acid and azelaic acid, and flavonoid-like agents such as aloesin, hydroxistilbene derivatives, and licorice extracts- are some of the agents that are used for inhibition of tyrosinase. Another mechanism is through the inhibition of melanosomal transfer. To lower skin pigmentation, these agents work by inhibiting the transfer of mature melanosomes into the keratinocytes. Some agents in this category include protease-activated receptor 2 (PAR 2) inhibitors and niacinamide. Other working mechanisms are antioxidants and acceleration of epidermal turnover and desquamation. Most products use the inhibition of tyrosinase and oxidation. These mechanisms have been proven to reduce hyperpigmentation without having extensive side effects. If you are not sure what product to use, you should consult a dermatologist who will advise you on the best product depending on your type of skin. Before using the product on a daily basis, first, test it on a small part of your skin to make sure you do not have a negative reaction to the cream. Use the cream at most two times a day only on the affected area. A frequent application may cause inflammation or irritation. Ensure you adequately moisturize your skin to avoid the dryness that may be accompanied by the use of the products. While applying the cream, avoid the eye area and the area around your mouth. This part of the skin is quite delicate and may be damaged by harsh chemicals. Frequently use sunscreen for protection from harsh sun rays. For any skincare product, consistency is key. It may take up to five weeks or less for visible results. Therefore, you have to be patient.